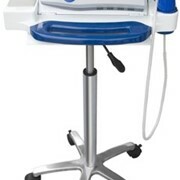 Free mobile stand with inbuilt printer & probe holders The Meike Palm Bladder Scanner is a real time handheld noninvasive device with advance 3-D Ultrasonic technology. 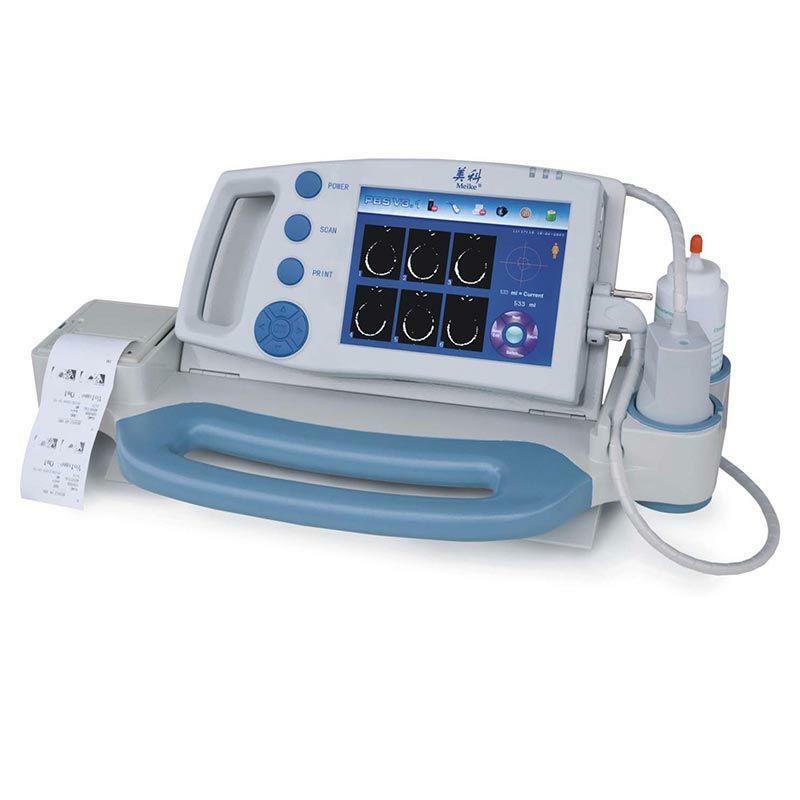 The Meike Palm Bladder Scanner is a real time handheld noninvasive device with advance 3-D Ultrasonic technology. 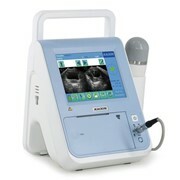 Through ultrasonic echo technology it easily differentiates between the bladder and surrounding structures. 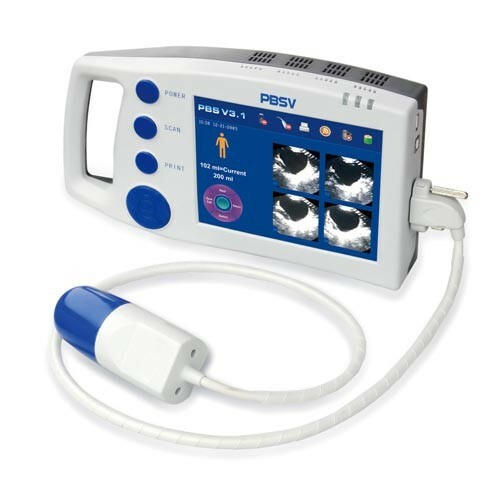 It accurately measures bladder and residual volumes. 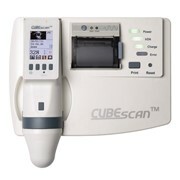 The system is ideal for scanning male, female and paediatric patients in real time. Excellent for training and illustrating pelvic floor exercises. Suitable for hospital environments and it’s light weight portability makes it ideal for community service providers and private practice. Urology, Obstetrics and Gynaecology, Rehabilitation, Emergency departments, General surgery, Paediatrics, ICU, Community Health Centres. 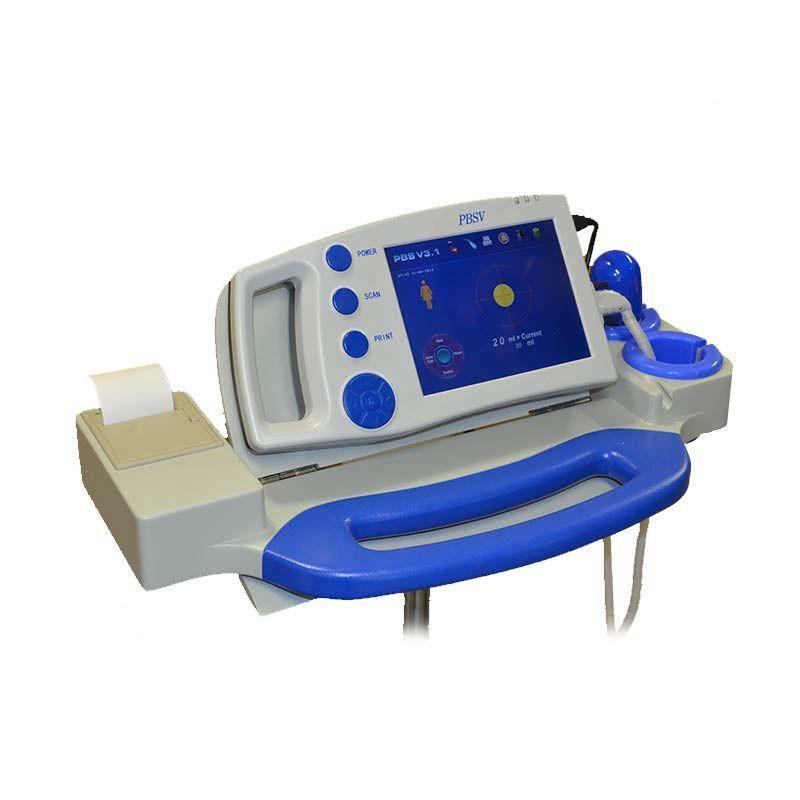 The Meike bladder scanner use the Bladder reconstruction technology, its accuracy is ±15%, ±15ml (0~150ml); ±10%, ±15ml (150~999ml). The conventional scanner can’t give a precise number, it need sonographer to calculate it by measuring the width, depth and height. Its average accuracy is ±30%. It have a very limited use in clinical practice. 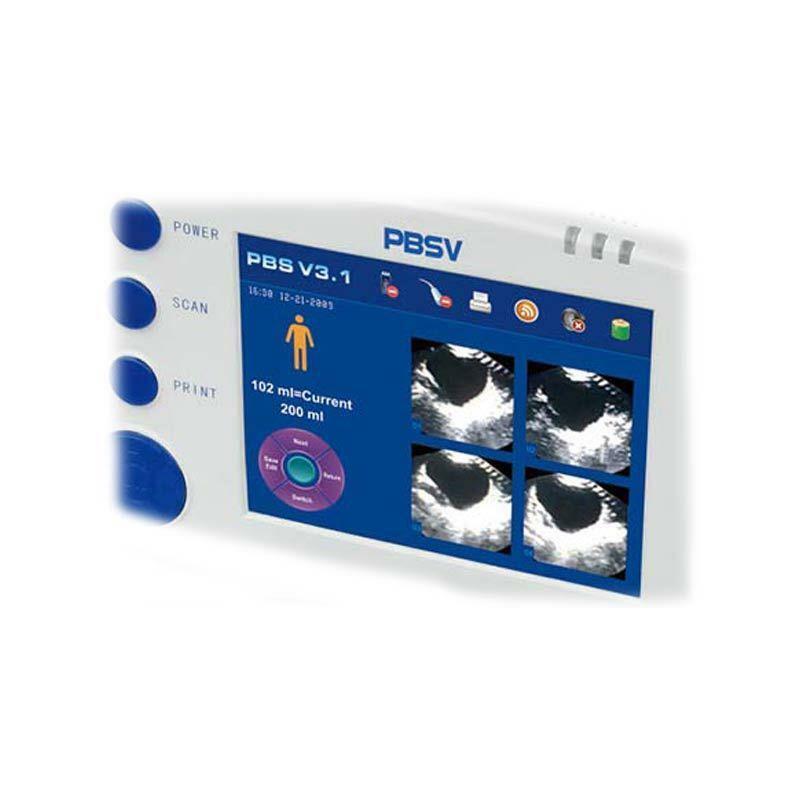 The bladder scanner can give a result automatically. The scanning time would be 4 seconds to 5 seconds. It also no need the sonographer and nurse would be able to do this job after some simple training. 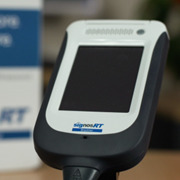 In clinical use, this characters would improve the efficiency of hospital and help patient to rehabilitate more quick. 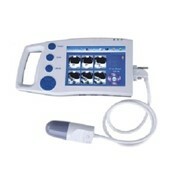 Meike bladder scanner utilize the Bladder edge recognition techniques on each B-mode images. It outline the edge by red lines. The User can judge if it use the correct area to calculate. If not, you should relocate the bladder. It make the result more scientific and reliable. 4. It help to reduce unnecessary catheterization and nosocomial infections. By measuring the bladder volume to decide the need of catheterization, hospital could save a lot on the unnecessary catheterization and catheter-associated infections. 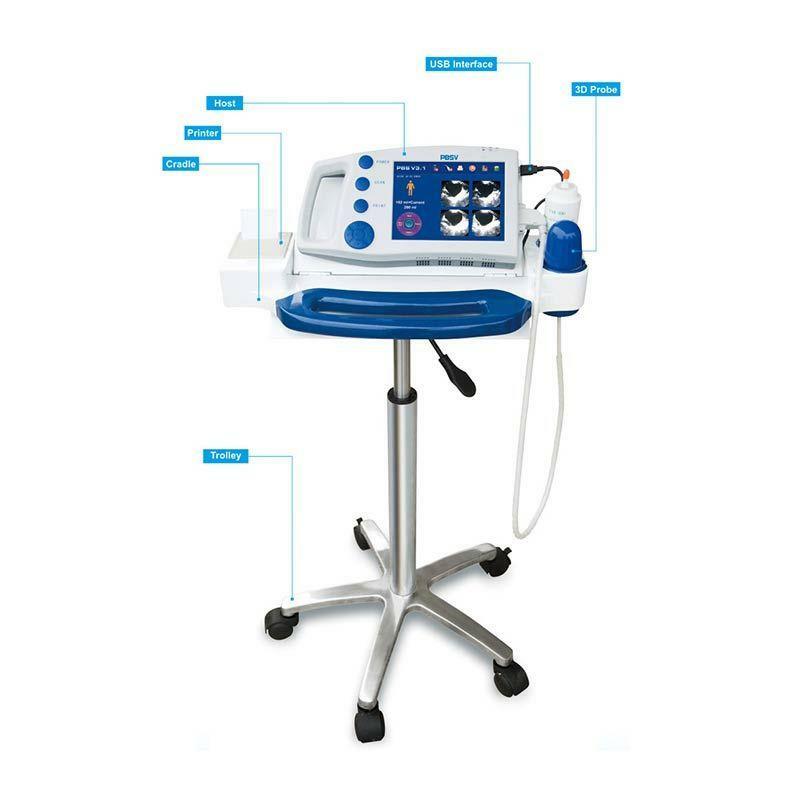 It also improve the treatment experience of patients. Scan mode: Male, Female, Pediatric (Residual), make it more accurate. Scan planes: 12 planes/ 24 planes. 12 planes more quick in the scanning and calculation. 24 planes more accurate in the result.